Posted on Thursday, July 12th, 2018 at 5:52 pm. 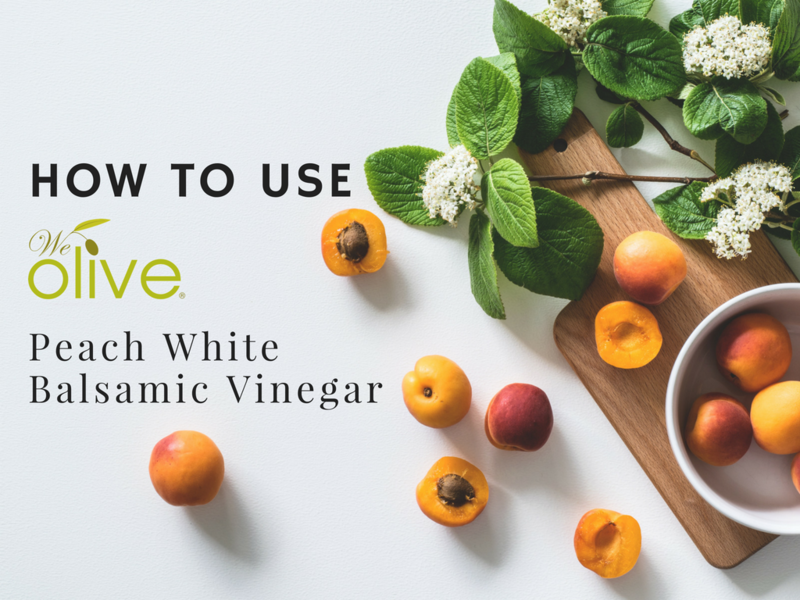 Our Peach White Balsamic Vinegar is one of our most popular vinegars for a good reason; it’s sweet and tangy and delightfully aromatic with a bouquet of peach flavors. 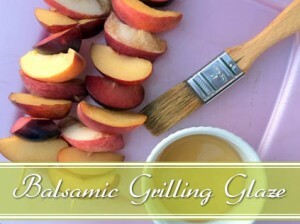 We’ve put together a list so you know exactly how to use our Peach White Balsamic Vinegar. Try quick-pickling thinly sliced onions, as we do on our BBQ Chicken Flatbread or whip up this Peach Mostarda as an accompaniment to grilled meats or an artisan cheese and charcuterie board. 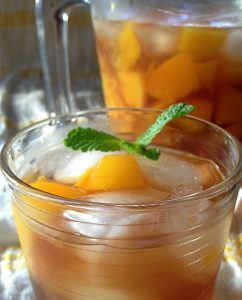 Try our Peach Basil Mimosa, add it to Iced Tea or test your bartending skills out with a Peach Balsamic Smash. 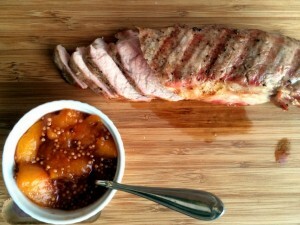 This sweet and tangy vinegar works nicely as a glaze for grilled pork, poultry and fruit. Learn more here. 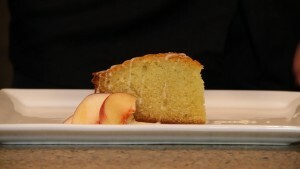 Drizzle it over ice cream or make a glaze for our favorite olive oil cake recipe. 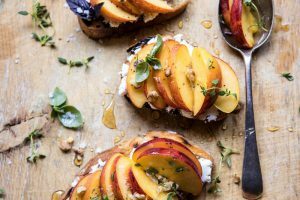 Combine it with your favorite olive oil in equal parts to dress a salad, drizzle it over these crostini or rethink a classic Caprese with peaches, burrata and fresh basil topped with Peach White Balsamic Vinegar and Fresh Basil Olive Oil.